We all know how simply writing things down can help us when we are feeling a bit out of control, but can regular journaling put us on a more serious path to good health? When Peter Craig lost his wife to cancer leaving him with two young teenagers he felt that he had also lost his mind. The usually clear-thinking executive seemed swamped in a fog of grief, anger and uncertainty. When his counsellor suggested he try keeping a journal his first response was “but I don’t like writing”. 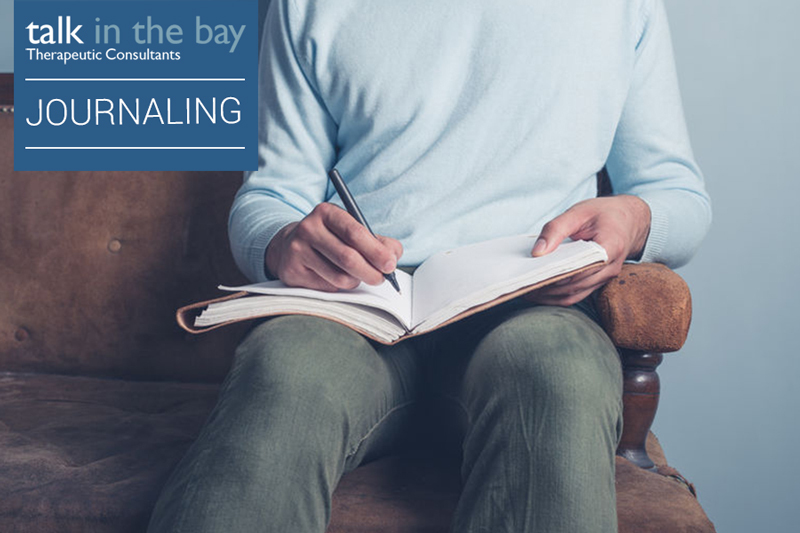 His counsellor explained that journaling is not about fancy prose and perfect sentence construction, it is about expressing yourself honestly and putting down thoughts you might feel unable to express to anyone else. You are in effect “talking to the page”. Feeling he had nothing to lose, Peter bought a moleskin notebook and new fountain pen and started writing in search of some healing and closure. “I started my journal about three months after Anne died and have been assiduous with it ever since. I soon realised that in the process of recording my thoughts and feelings I was becoming more observant and objective. “For me the most powerful value of my journal has been examining the entries over the last two years. Being able to review my behaviour and see patterns and trends has revealed own personal journey and progress and made me feel a lot better about myself and my situation. Writer Angie Macdonald who is the author of the health blog writehealth.co.uk discovered the benefits of journaling several years ago when she was crippled with arthritis in her mid-40s. She came across the book Writing to Heal by James W Pennebakbr, PhD which had a huge impact on her. His research, and that of numerous other researchers, has shown that writing about one’s emotions can significantly improve one’s health. “My journal is where I present my worst self, my vulnerable self, the self that is weak, fearful, depressed, sad, sick, lonely, in conflict and unhappy,” says Angie. “Looking back at what I wrote then is difficult and doesn’t make for pleasant reading. I wrote about my anger at having a long-term illness and the role that ill health had always played in my life. I described feeling depressed, lonely and frustrated – forgotten by my friends while they got on with their lives. Something you are avoiding confronting. Write in a quiet, undisturbed place and try to write for a minimum of 15 minutes for at least three of four consecutive days. Separate what is fact and what is emotion. Revisit and reflect on what you have written. Use your writing to try to understand what has happened to you, and get on with your life. Switch perspective in your writing and view events through others’ eyes. If you are unable to write, talk into a recorder or use a voice recording app.